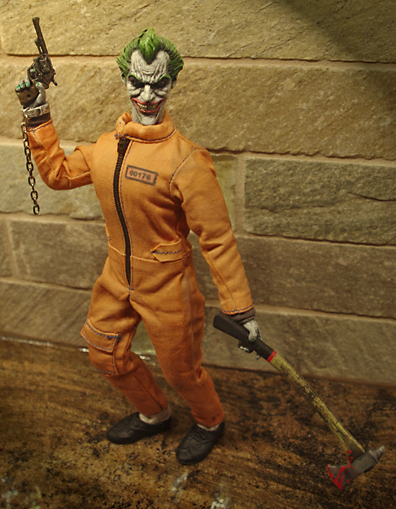 I received this Arkham Joker figure recently that was made by Captain Mego. The details on this guy are pretty amazing. 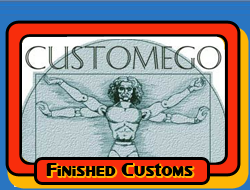 It doesn't really fit in with my other customs, so if anyone is interested in him... let me know. Chris can sure make them. Wish I were in the market for Joker but I'm tapped out. Love his style. Chris is the real deal. Helluva nice guy, and so damn talented it's not even funny. ^Agreed. A true artist through and through. Needs to be working in Hollywood. Creepy and breathtaking! Such a beautiful creation! Thought I would share some more pics with you guys. Last edited by Captain_Mego; Sep 12, '14 at 4:22 PM. Man, that is one frightening Joker!! !